Heroes | Boom Beach. All about the Game! There were new type of units (heroes) implemented into Boom Beach with the last game update. Currently we have only three of them, but devs says that we will have more of them in the future. 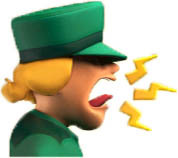 On this page, you can find all basic information about Heroes in Boom Beach. So, first of all a few words about the Heroes in general… These units can be used only in attack. They don’t participate in defense. Each hero has three individual abilities the use of which consumes Gunboat energy. 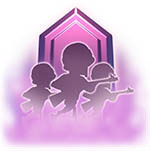 In one attack, we can use only one hero and only one of three his abilities (we can choose it before attack in the heroes hut). Heroes are also armed with weapons, which they use in battles like other units. Also as other units, heroes have levels, which we can upgrade for gold. However, their abilities we can upgrade only for the new special currency – the hero tokens which we can get only in Trader. The heroes live in Heroes Hut that is available from the 4 lvl HQ. Through this hut, we can upgrade them and their skills. Heroes don’t require time or gold to train. Sergeant Brick. The first of two hero in the game that becomes available immediately after repairing of hero hut (at HQ 4 lvl). The hero nickname is Grenade Spammer (“every time the hero attacks a new target building, she throws a grenade at it”). Personal weapon of Sergeant Brick is an automatic rifle with high rate of fire. Sgt. 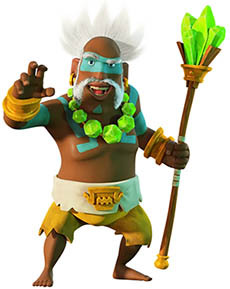 Brick is a great attacker who fire enemy with a rage and makes great support to our troops in battle. She can fire 15 bullets in a row and than makes a little pause for reloading. Sergeant Brick has 22 levels. Every upgrade improves her health and damage power. The individual abilities of sergeant are next: Cluster Grenade, Iron Will and Battle Orders. Cpt. Everspark. The second and last (to this moment) hero available in the Game. 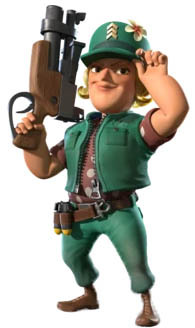 In contrast to Sergeant Brick, who immediately appears in the hut, Captain Evarspark must be found on the archipelago, namely, in order to open the hero you need to defeat Colonel Gearheart’s level 45 War Factory. The hero nickname is Robot Overlord (she spawns groups of critters every few seconds). The captain is armed with a weapon that shoots electric beams for a relatively long distance. Cpt. Everspark has 13 levels. Every upgrade improves her health, damage power and reduce time interval between critters spawn. The individual abilities of sergeant are next: Critters Swarm, Explosive Charges, Universal Remote. Critters Swarm. The first ability that is available immediately after Hero unlock. If you activate this ability, the hero will deploy several critters (quantity depends on ability level) which distract enemy defensive buildings. The first use costs 8 units of energy; each next costs 7 units of energy more (the second – 15, the third – 22, etc.). After each upgrade increase the quantity of deployed critters. Explosive Charges. The second Cpt.Everspark ability that opens after upgrading the hero to the level two. When the ability is active, the hero throws powerful bomb into the nearest building. The downside of this ability is that targets hero choose by himself and we can’t make influent on his choice. Starting cost of this ability is 6 units of energy; each next requires 4 units of energy more. Each upgrade increases the damage power of the bomb. Universal Remote. The third ability that opens after upgrading the hero to the level three. This ability helps hero to take control over one of enemy defensive buildings and switch it to struggle on our side for a short period of time (15 seconds). But this ability also has it own cons… The first is that the hero can’t take control over a Prototype Defense and special weapons such as Super Mortar 3000 etc. The second is that the hero choose by himself which building to take under control. Another important moment is when the defensive building is under control of Cpt. Everspark a damage bonus will apply to it (it will do more damage than usually do). The first use of the ability consumes 8 energy; each next – 7 energy more (the second – 15, the third – 22, etc.). Every upgrade of the ability increases damage bonus. Dr. Kavan. Doctor Kavan is the third and the last till this moment hero in the Boom Beach. Unlike the first two heroes, Dr. Kavan doesn’t attack enemy buildings and has no own damage power. His main purpose is to support our troops on the battlefield by healing them (like Medic do) and reduce incoming damage! The speed of movement of the hero is medium; the heal range is short. How to get Dr. Kavan? How to get the hero in the game? The answer is simple. 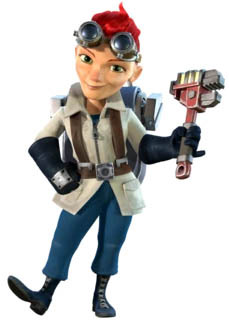 For this we need to defeat the base of Lieutenant Hammerman 25 (available after upgrading HQ to the level 7), where hero is hold. Ice Shields. With the help of this ability, the hero creates a kind of crystal shield around every unit near him. 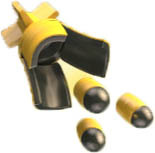 The shields protect units from the fire of enemy defensive buildings. The shields have own hitpoints that increases with the each next upgrade of ability. The firs use of Crystal Shields consumes 6 units of energy; each next requires on the 8 of energy more. Each upgrade of ability increases it duration period also. Second Wind. The third and the most interesting ability of the Dr. Kavan. The Second Wind allows reviving troops that have been previously destroyed on the battlefield. All units that were revived glow purple (in such way we can distinguish between them). Destroyed units returns on the battlefield in reverse order (the last die – the first revive). If you have no defeated troops, the hero will creates Riflemen. After each upgrading of the ability increases the number of places for revived units. For example, using the 1-st level ability we can revive 8 Riflemen or 1 Tank, and the ability of fifth level allow as to bring back 16 Riflemen or 2 Tanks (or 1 Scorcher). The first use of Second Wind requires 8 units of energy; each next – on the 10 units of energy more. Pvt. Bullit is the short-ranged troop and the fourth hero available in Boom Beach now. He is similar to Heavy outwardly and has almost the same speed of movement and damage characteristics. Distinctive features of Pvt. 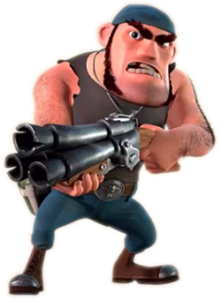 Bullit from other heroes are his health and damage power (the biggest among all heroes in Boom Beach)! To unlock the Pvt. Bullit you need to destroy Lt. Hammerman 55 base first (and for this, you have to upgrade Radar to lvl 19). Pvt. Bullit has 8 levels. Each upgrades improve his health, damage power and damage limit. The hero has three individual abilities as other heroes in the Game. Taunt. Activating of this ability makes the hero attracts the attention of all nearest defensive buildings and keep shooting only in him (in radius of ability action). Moreover the ability (when it is active) significantly decrease hero’s damage limit. Ability has 5 levels and each upgrade increase the damage limit. First activating consume 3 of energy; each next requires 2 energy more. Energy Drink. 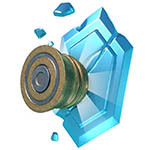 This ability significantly increase the hero’s speed of movement and speed of fire. Moreover, when the ability is active, the Bulitt’s health regenerating. Ability also has 5 levels and each upgrade increase the speed bonus and level of regeneration. First use of Energy Drink consume 8 of energy; each next requires 2 energy more. Shock Knuckles. Using this ability the hero attacks the nearest enemy defensive building with his fists, causing it to be shocked. Moreover, the shock effect receive a couple of nearest buildings. The ability also has five levels. 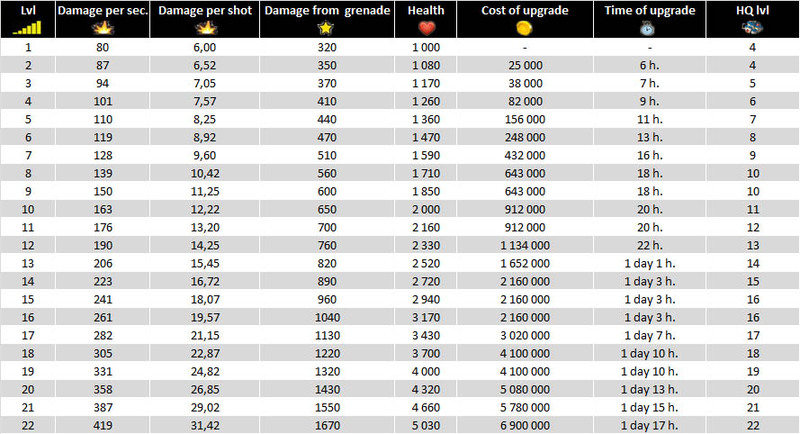 Each upgrade increases damage and shock duration. The first use of Shock Knuckles consumes 3 of energy; each next – 6 of energy more.